Dottie Morales trusted her Facebook friend was telling the truth when she said she'd be able to afford a home of her own with a government grant. BALTIMORE — Dottie Morales was sick of living in an apartment, so when her Facebook friend told her about a new way to get thousands of dollars, she was intrigued. "She said, 'Hi, how are you doing?' I said, 'I'm not doing too well, got the flu, how are you?' And she says, 'Great! I just got a $35,000 grant and I'm able to pay off all my medical bills,' " Morales said. "I really wanted to get a nice double wide trailer that I would call my own and live there, and you know, be happy for the rest of my years on earth," Morales said. Another time she was told the driver of the Fed-Ex truck was in an accident and she needed to pay more money to have the grant transferred to a new truck. Then she received a text message from someone claiming to be an FBI agent and demanding a fee or the grant would be held up at FBI Headquarters in Washington, D.C.
Morales said she kept sending the man money "because he kept asking me to trust him, trust him, this wasn't scam, he's a man of God, he wouldn't lie to me." "That was when he did not show up again, and I was heartbroken," she said. 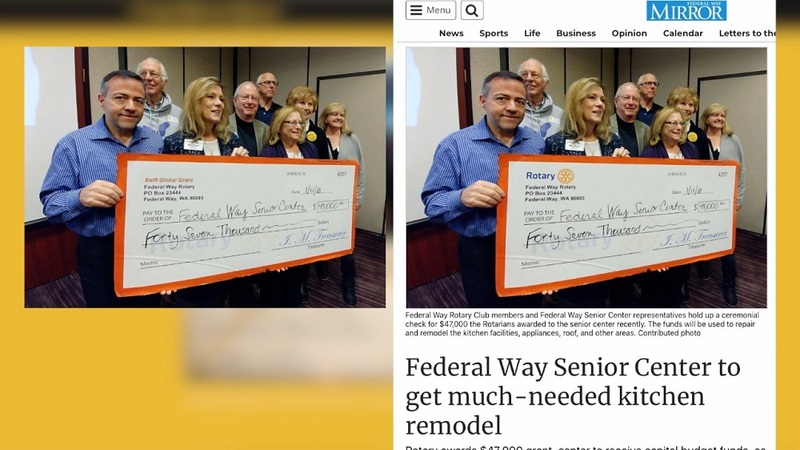 "Copy a picture, do a little Photoshop, change the name, create a new identity, I mean they can create new financial footprints for false businesses in a matter of 15 minutes," said Jody Thomas, vice president of communications and marketing for the Better Business Bureau of Greater Maryland. Morales contacted Thomas asking for help. Thomas advised her to stop responding to Doyle's calls, emails and texts, and any unknown numbers. But instead, Morales listened when someone contacted her about getting her money back. "And she bought into it," Thomas said. "You know that somebody's getting taken advantage of, and we're talking over the phone and all we want is to get in our car and ride down and tell her, 'Dottie, please stop communicating,' " said Thomas, who became emotionally involved in the case. Morales believes her Facebook friend's account was cloned. She also filed claims with Western Union, Moneygram and her credit card companies but hasn't received a dollar back from the more than $30,000 she lost. WMAR tried contacting the scammer. The phone number was for a text mail subscriber. When we texted the number, someone immediately responded, but once we identified ourselves, the person did not answer. If you've been contacted about a government grant, that's the first red flag. Grant seekers pursue funds, not the other way around. Also, government grants are not meant for individuals. They're for the greater good, like nonprofits, community leaders and researchers. 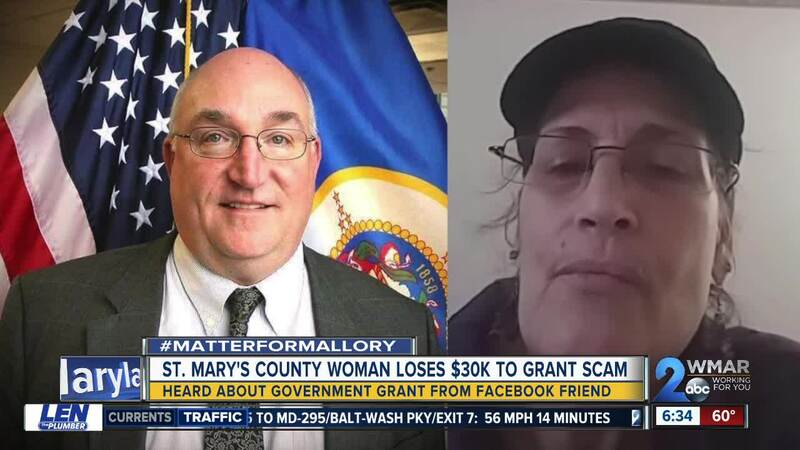 Grant scams continue to be a common fraud complaint. According to the Federal Trade Commission, more than 6,300 people lost $8.5 million to grant scams in 2018.